The Waldorf School of DuPage-ASK THE RIGHT QUESTIONS! Choosing a new school for your child may be one of the most overwhelming decisions you ever make. You see the needs of your child; you hear their struggles and their frustrations. You aren’t sure if a new school environment would help ease their stress. But something has to change. We hear stories like this every day. So we created a helpful PDF resource with you in mind. 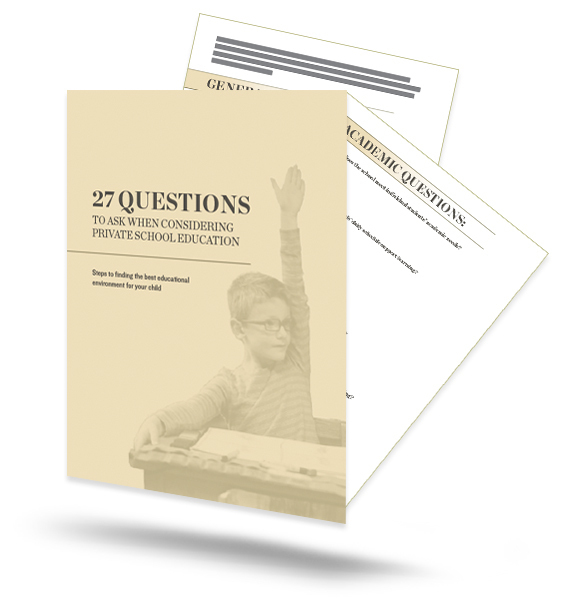 No matter where you choose to send your child to school, you can download these 27 questions and smooth out the process! These questions grew from the concerns of real families. One family approached Four Winds with a serious concern about inclusion and anti-bullying. A previous school left their child feeling marginalized. Four Winds has zero tolerance for discrimination and bullying against any child; children are expected to treat others and the world around them with respect. Socialization skills are incorporated in the curriculum. Ask what a school’s bullying policy is. Is a child simply told to walk away or is the burden placed solely on the parents to work things out? We have seen families with a gifted student forgotten in an overcrowded classroom. The fun science experiments don't exist because there are too many kids and not enough time. It is important to ask about the average classroom size of the school. You don't want to move your child into the same situation, different teacher. You’ve noticed that your child only has 15 minutes to eat their lunch and one 15-minute recess break each day. Deep down you would love your child to experience more playtime while learning. When you ask the school for a learning schedule you discover if the school provides the play-based learning environment you desire for your child. Finding the best school for your child is a daunting task but you don’t have to face this decision alone. Download these 27 questions to help you prepare for the conversations you will have with each prospect. Remember, being thorough now will help you find the perfect fit for your child’s learning needs. Learn the right questions to ask while evaluating your school options. Determine the 'best fit' school for your child. Have confidence in making one of the most important decisions you will make as a parent —where to send your child to school.